This book project, which I was privileged to complete, is an end result of years of continuous research, quest for facts, and gathering of accurate events and details that took significant efforts and study. 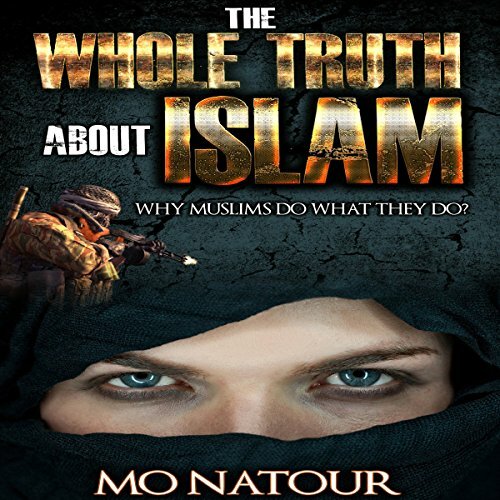 The Whole Truth about Islam is a comprehensive book about the Islamic faith. It is written specifically for individuals who don't have any knowledge of the religion, in a very simple manner which is closer to the western way of thinking so it could be more understandable. It could also constitute a great textbook for students and institutions. It will familiarize the public with a lot of misunderstood and controversial issues affiliated with the religion and public perception, and will be a great and reliable source of information for anyone who is seeking knowledge or has any inquiries. I had faced all controversial issues head on, some of those issues include why Muslim women conceal their bodies from head to toe, the subject of men marrying several wives, and also the most controversial issue that is spoken about most commonly in the media or is discussed in the political arenas, "Jihad". I've spoken of those subjects thoroughly, accurately, and with knowledge and a complete view of Islam. To complete this project, I've conducted intensive research and had meetings with many scholars of different faiths to ensure accuracy and authenticity of the entire historical context and all the narrations to ensure the integrity of the facts presented in the material. In addition, I gave my utmost effort to keep the richness of the text and not to lose any of that in the translation process, especially when I used segments of Prophet Muhammad's narrations or verses from the Quran. I truly and deeply believe in this book, and wish to share it with the public. If you have any questions about this product by Revival Waves of Glory Books & Publishing, contact us by completing and submitting the form below. If you are looking for a specif part number, please include it with your message.